Our Large chickens will feed 6-8 people depending on your appetites. 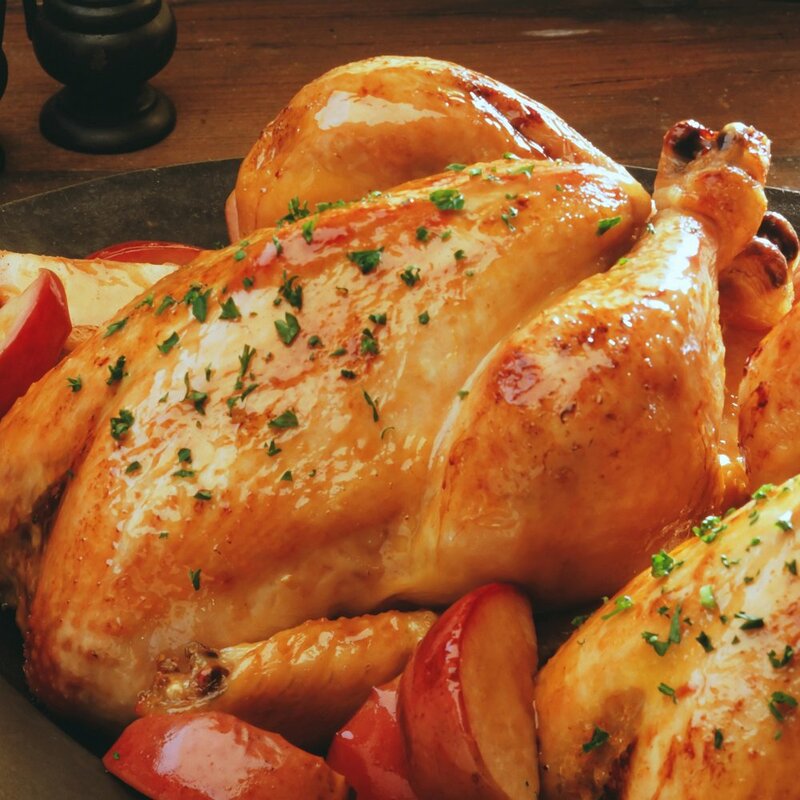 The chickens are super juicy, tender with a texture you will thoroughly enjoy. Matured over 140 days the chickens reach full maturity which gives the bird a high ‘meat-to-bone’ ratio which means you the customer gets value for money. TOP TIP: Place some bacon on top when the large chicken is cooked; take out and rest. All the juices in the bottom of the basting tray pour into a pot and cool. Spread on toast in the morning! Totally unhealthy but a real taste explosion!